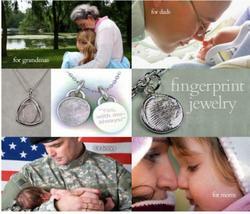 The same company who brought us Mother and Child Pendant introduces Fingerprint jewelry. The Kirchner Co. supplies us with this new pendant which is as unique as an individual's fingerprint! With the fingerprint taken at the store, the company inscribes it into a piece of sterling or gold jewelry. 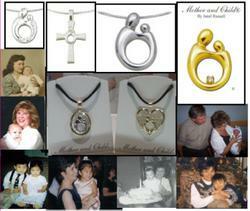 Great for Mother's or Father's Day, the pieces may also be engraved on the back. Mother and Child and Fingerprint pendant, both timeless treasures.